But it certainly caught the imaginations of women living in the area. 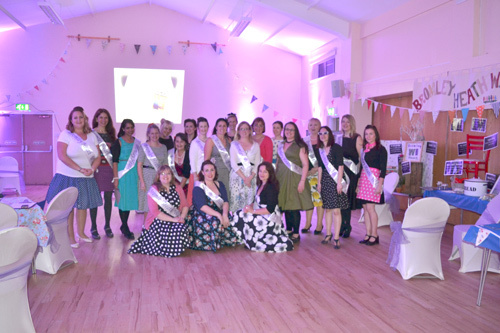 A staggering 350 ladies turned up at the inaugural night of the Bromley Heath branch of the Women’s Institute. Queues at the church hall in Quakers Road snaked around the entrance and spilled into the street as women were eager to get inside and party. Promising to put the emphasis on the word fun, organisers meant business from the word go. The theme for the evening was 1950s-style tea party and many chose to pop along in fancy dress, showing how determined they were to have a good time. As champagne corks popped, ladies helped themselves to cake and had a good old natter about future plans. Attractions included a dressing up photo booth, raffle and film reel highlighting future plans as well as profiles of inspiring local women including breast feeding counsellor Ann Watts, educationalist Lucy Fletcher, Rainbows leader Gaynor Powell and Faye Kitchen, head of Bromley Heath Junior School. A total of 205 people signed up on the night, meaning the group has now reached capacity. However the group is hoping that other ladies will start up other branches locally. Diane Flower, one of the founding members, said: “We didn’t know what to expect really but guessed that maybe 50 to 130 ladies may come to the launch. “We lost count of how many came but there were at least 350. They queued outside in the cold to come into the hall and then queued patiently to sign up. 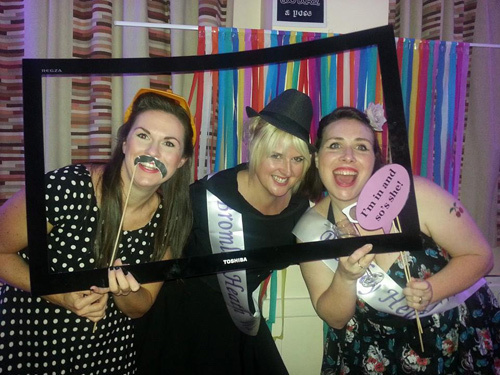 “The number of ladies who joined on the night totally exceeded our expectations. The idea was the brainchild of resident Sam Burch who put a message on Heathboard, a local Facebook group, asking if anyone was interested in setting up a WI in the area.